And so it goes, It’s way too potent a place, to stop the healing magic of this heavenly and spiritually alive experience. A restful, observational retreat which is full of adventure and potentiality. This retreat is offered with restoration and recovery in mind , with plenty of time for self reflection and re-centering. 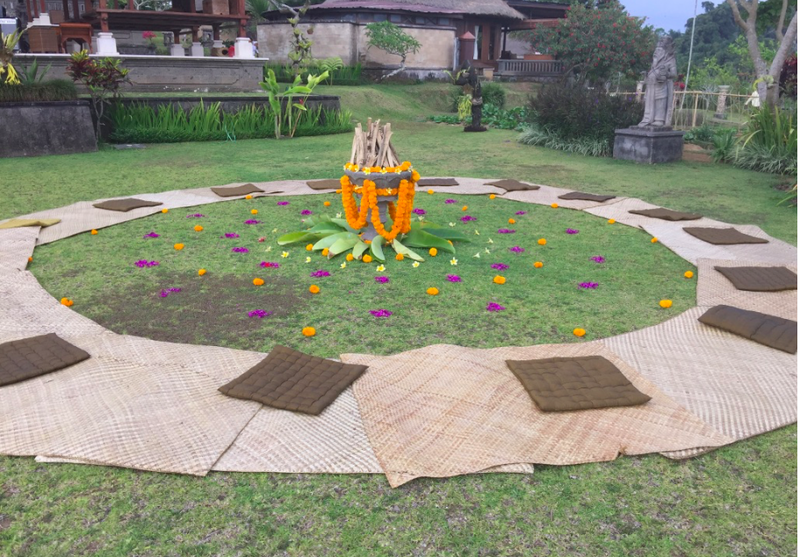 For six heavenly nights, the team from Yogaworx, along with the brilliant addition of Shaney Aalbers, will be retreating Into the verdant green jungle canopy of central Bali. Join us as we journey through the body and mind to return to the peaceful sanctuary of our hearts. Harmonising our spirits with nature, restoring balance and finding congruency with our worlds. Stabilising through our daily sadhana and ritualistic routines to open our hearts and minds and bodies. Through daily practice, we will find ways to release the grip of our emotional bodies, light up our physical bodies, and reconnect with a lightness of being. Come as you are without apology, do as you can without explanation and leave this retreat spaciously! Wendy's unique approach and dance-like sequences set her apart from the norm. She is breaking the mold of what a yoga class looks, sounds and feels like. 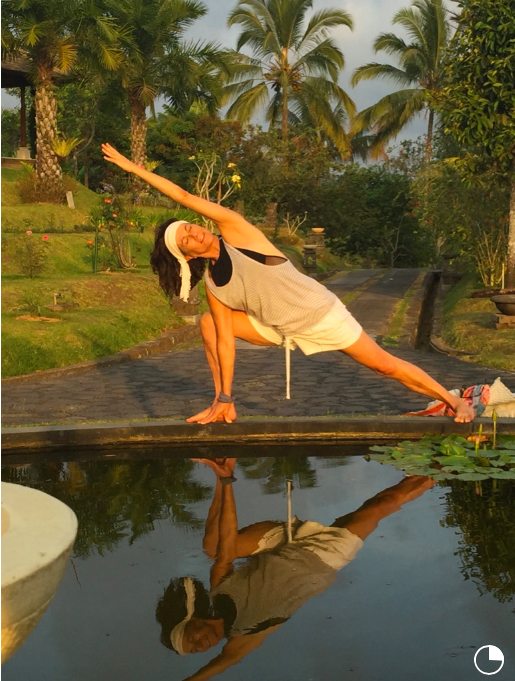 From her themed classes, classes on the grass and retreats, Wendy creates seamless sequences that challenge and empower the entire body. With her many years of dance and personal Yoga practice, she is charged with creativity, sequence and flow. Finding balance between grounded poses, conscious breath, and playful self discovery she encourages students to fulfil their potential through expressive flow. This is what she strives to achieve in each of her classes. Joy and lightness can be felt in her classes as she passionately encourages her students to push their limits, feel safe and strong. Wendy continues to study the art of Yoga, to further her teaching vocabulary and understanding of anatomy. She attends immersions and teachers' workshops and remains in the perpetual student mind, most recently with the incredible Les Leventhal, Seane Corn Janet Stone. Wendy recently completed a further training with Patrick Beach and Carling Harps, who she found inspiring as these two individuals live, move and breathe YOGA. "It is through all the amazing teachers that have inspired me and encouraged my journey, that I am here today. I am eternally grateful for all of the dance teachers, yoga goddesses, musicians and anatomy gurus that have helped raise my awareness." She continues to weave the fabric of yoga into her life and is keen to share her love of yoga. She has four children, and along with her partner Mal, runs the popular Yogaworx in Perth. Lightheartedly, Shaney refers to herself as a bit of a gypsy. In the ﬁrst 10 years of her formal yoga studies, she pursued the inﬂuence of a number of the industry’s top names and versatile styles, mainly in Oregon, Washington, California, and New York. Shaney appreciates the idea that she was founded on the ‘people’s republic of vinyasa’, both in her personal practice and teaching methods. According to certiﬁcation validations, she collected both "Foundations" and "Advanced Studies" certiﬁcates from The White Lotus Foundation in Santa Barbara, California. In 2010 and 2013 Shaney returned to India (her ﬁrst visit was in 2007) to immerse herself in the wisdom and teachings of the Krishnamacharaya Yoga Mandiram, to deepen her appreciation of the Eastern interpretations, after being steeped in the western ways, and the interpretations and teachings of the industry seniors, who were bringing forth their understanding of the classical methods of yoga. Grateful for the liberty to create and experiment, Shaney appreciates how the increasing popularization of the vinyasa style yoga has permitted sincere research in the 'laboratory of sequencing and body play' that allow her to weave in some of the traditional standards (asana, pranayama, mudra and mantra) and unique techniques that promote both a readiness for, and recovery from, some of the other aspects of life, recreation and sport or play. With 15 years of bodywork therapy informing Shaney’s “unique” techniques, she has borrowed inspiration from a variety of movement disciplines and thousands of hours of moving bodies around and believes that a thorough joint and soft tissue preparation permits sustainability both in our quality of movement and endurance development, for our ever ﬂuxing attitudes and emotions. If you need to have a breather, to stop what your'e doing and get your bearings, this is for you! We have created a retreat for people who need to just breathe, pause and reset. To set down old habits, and start a fresh pathway to the self state. We can often be so caught up that we are swept away by life and its unfoldings that we don’t recall where it was we were headed at the outset. Join us in Bali " A Journey To Self"
We are excited to announce that the incredible SHANEY AALBERS will once again be joining Wendy on this rereat!! If you have never had the pleasure of taking a class with this woman be prepared to be monumentally moved!! We have the opportunity to live an inspired and purposeful life. In order to manifest our true purpose of 'walking our paths' in alignment with the laws of nature, our Dharma, we need the time and we need the place. 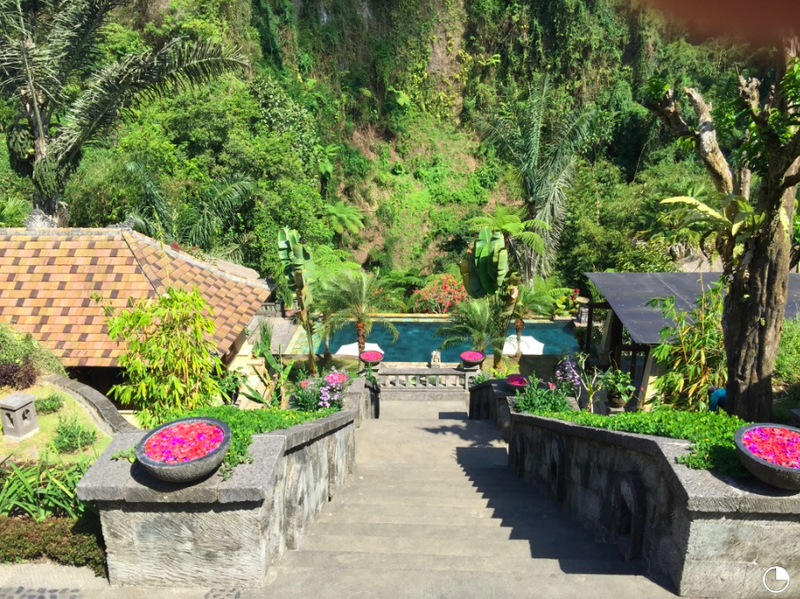 A time to retreat into the unspoiled jungle of central Bali. In the foot hills of Mt Agung and Batur. The space where we will find our medicine. Six glorious days of Yoga, meditation and massage. Organic food and fresh organic juices daily. Coupled with plenty of time for reflection and relaxation and Svadhyaya (self study) will provide the back drop to your metamorphosis! leisurely sunbathing around the beautiful pool, drinking cocktails of your choice! This retreat is open to all levels, all you require is to commit to the need to connect and self realise! We offer this as a retreat over 6 nights, and in order to enjoy the full assimilation its important to set this time aside. How ever we also understand that life happens. No discounts are offered for an abbreviated option. All the above can be arranged with the hotel as per your choice. Welcome refreshing cocktail and chilled town on arrival. Use of health and wellness facilities : Herbal Steam Room, Pool, Spa and Gymnasium. There is also the option, of a double suite, sleeping four people for an added $200 pp for the 7 day 6 night stay, which includes a private swimming pool. Each bed room is 62 square meters includes terrace with comfortable day bed and well-designed bath room. The living room is 28 square meters with home theater facilities. A superior/spa villa is also available on request, at a nominal additional fee. View from the stunning spa down the stairs to the pool. The private suites are perfect for a little self practice! Places are limited: $500 deposit is all it takes to secure a slice of heaven ! This deposit will be deducted from the rate quoted. This is the total amount payable including deposit. This is the full amount owing.